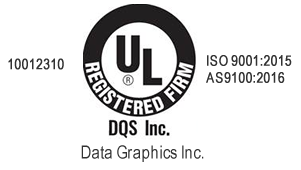 Digitally Printed Labels | Data Graphics Inc. Digitally Printed Labels | Data Graphics Inc. Looking to avoid high printing costs? Ask about digitally printed labels. Sure, there are many printing methods that are wonderful choices when you need a high quality product that delivers. But with advancements in technology over the years, the graphics printing industry has developed a printing technology that eliminates time intensive, expensive steps without sacrificing quality. When you order digitally printed labels there’s no need to pay for costly screens and plates because your design concept goes straight from the computer to the printer. This makes digital printing an ideal for choice for the company that is looking for a low volume order. Data Graphics can create digitally printed labels to your company’s specifications. Ask about tamper proof vinyl labels. They leave a residue when they are peeled away. For low cost and indoor applications paper labels should suffice. If you require digitally printed labels that can tolerate the harsh weather of Mother Nature, plastic or aluminum is best. Polycarbonate and aluminum can withstand ultra violet sunlight, corrosive chemicals, impact abrasions, and extreme temperatures. While polycarbonate and aluminum labels provide the best resistance to all situations, polycarbonate is the best material to print on. Despite its strength, polycarbonate retains it crisp, clear printing characteristics. 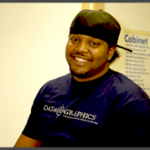 Ask our staff at Data Graphics which material is best for your product. Your digitally printed labels can also be cut with a custom die and embossed. For more information about digital printed labels contact our courteous and knowledgeable sales staff at Data Graphics Inc.